Love life, love chocolate in Ecuador! I ended up spending almost a month in Ecuador, and wish I could’ve stayed even longer in this incredible, beautiful country. 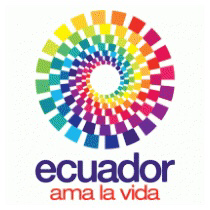 Ecuador has a snazzy ‘ama la vida’ or ‘love life’ logo you see everywhere, and I’ve been thinking of what I’ve loved during my travels here. Starting, of course, with the true love of my own life.